Let’s be spontaneous. At the moment of writing the time is 4.30 pm and I don’t have plans for this evening. 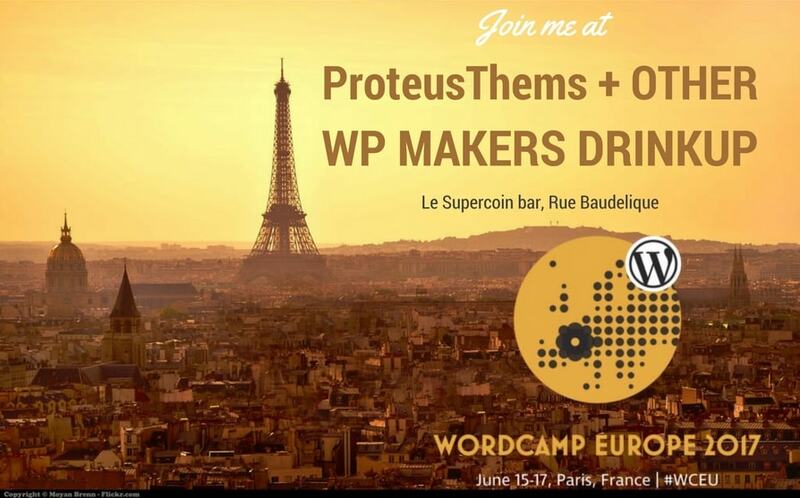 All I know is that I want to hang out with other WP makers (plugins/theme developers) and business owners and grab a 🍻 together. Or a 🍷, we’re in Paris after all. 3, 2, 1 … and today I’m flying out to the WordCamp Europe! This year it’s happening in the Paris, France and I’m so excited to finally meet some old friends again and make new friendships as well. My unique t-shirts are starting to be my hook, so I’ll see me wearing the “I’m Primož 🔈 pree-mosh …” labels again. You don’t have to love your work, love what you DO! You don't have to love your work, love what you DO! Опубліковано Primož Cigler 21 травня 2017 р.
PressNomics was mind-blowing! I never had such a great time at the conference before. It’s exactly a week since I’ve flown in the sunny and summerish Phoenix, AZ. The reason? The PressNomics conf, to meet new people and make new connections. Did the conference meet the expectations? Not only that. It exceeded them all the way! I’m attending PressNomics 5 this week. I’m looking forward to meeting you in Tempe, AZ! 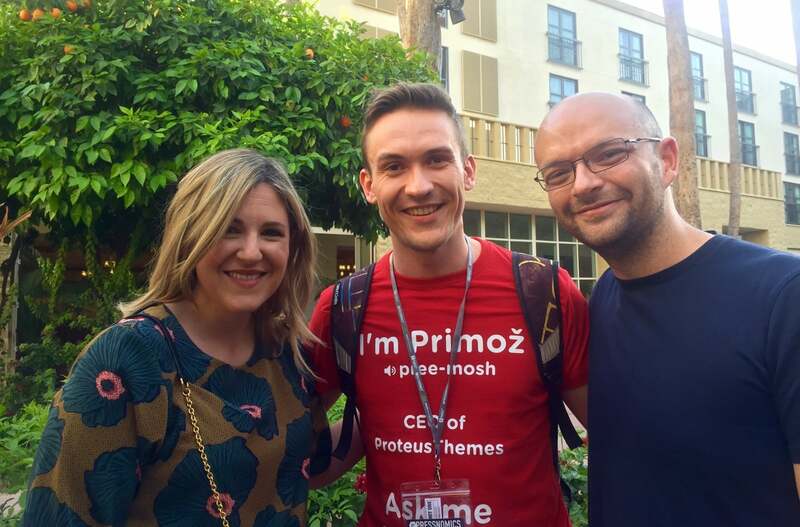 It all started about a month back on a Slack channel when Adam from Astoundify, Rich from ThemeBeans, and Andy from Parallelus convinced me in half an hour to buy the ticket for PressNomics. I’m getting really excited about my trip to the USA which begins only 2 days from writing this. 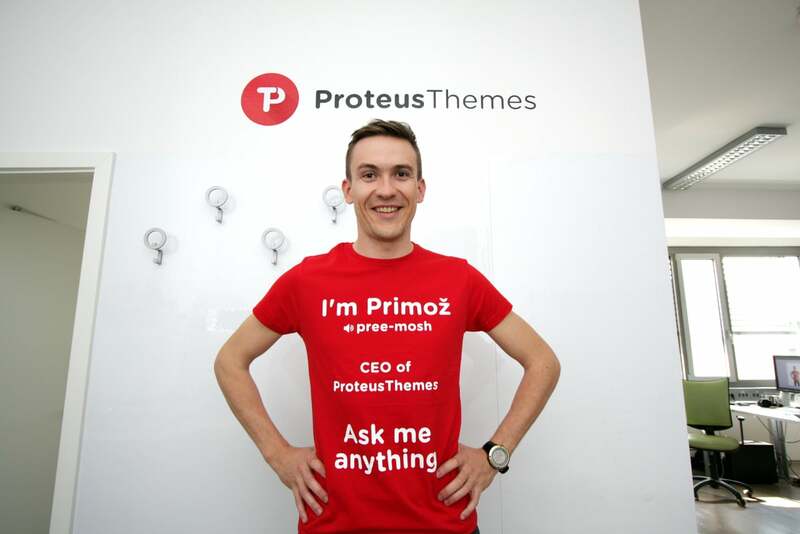 Yesterday and today we went Live on a ProteusThemes FB page. I’ve tried it a couple times before on my personal fb account, just to see how it works. I’ve decided to write down my experience while it’s still fresh and I remember everything. I put the wrong link in the MailChimp newsletter campaign. How did I fix it within minutes? Two days ago, I sent a newsletter campaign to about 5,000 newsletter subscribers. I usually use the ‘Replicate’ MailChimp feature. The problem is that the feature leaves the original links in the content of your campaign as well. My first advice would be that you always send yourself a test email and click through all the links. But because you are reading this, most probably it’s too late. After sending the newsletter I’ve realized that the CTA link is pointing to the wrong URL (to the blogpost instead of the pricing page).